Present at the recent 2017 ITTF World Hopes Week and Challenge staged in Luxembourg from Friday 11th August to Thursday 17th August; as a result of his overall efforts, Egypt’s Hisham Ismail has received an ITTF Educational Coaching Scholarship worth US$1,000. 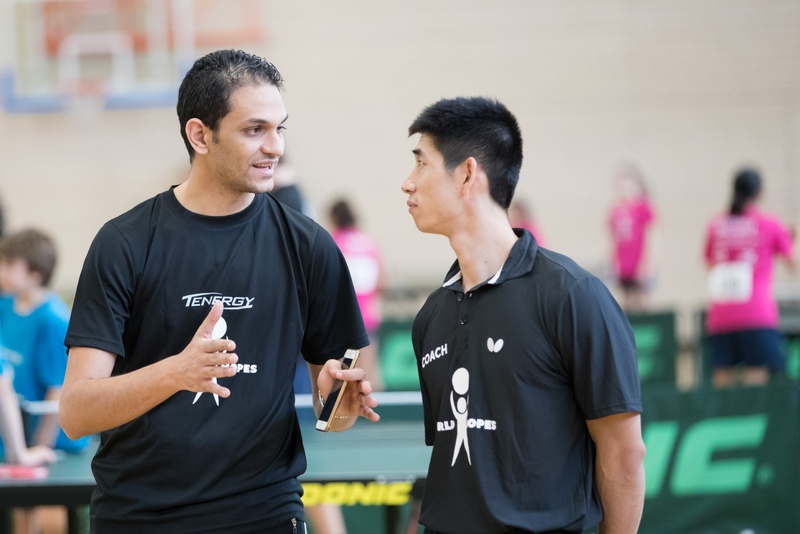 ITTF Education and Training encourages the Hopes’ coaches to share their knowledge and experience not only in the hall but also through well-defined and presented topics related to working with players between nine years and 15 years of age. Hisham Ismail accepted the challenge, submitted a valuable assignment and was rewarded. 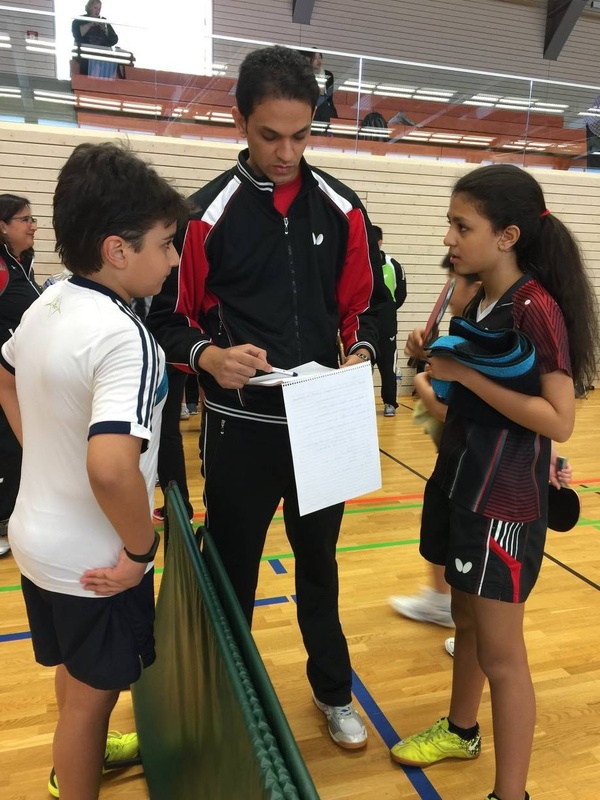 During the 2015 World Hopes Week and Challenge in Shanghai, Hisham was in the spotlight when he coached Sara El-Hakem to the first place in the Girls’ Singles event. Sara was the first winner from Africa. In a very dramatic final she has won in five games after being behind two-nil against Sophie Klee from Germany. Next stop for Hisham was the Hopes Team for the 2017 World Cadet Challenge where we congratulated him on his achievement and took the opportunity to find out more about his dreams. How did you find the online Education prior to the World Hopes Week and Challenge? The online education course was very nice. It addressed many issues, such as mentorship, how to develop table tennis around the world, how to select and develop the players. In my presentation I addressed my country’s reality, best practices on talent identification for both girls and boys; training volume for different age groups, under nine year olds, nine to 12years, 13 to 14 years, 15 to 17 year old players, how to improve the players skills and improve table tennis. Following all the work you had before travelling to Luxembourg, the online course and the assignment, how did you find the 2017 World Hopes Week and Challenge? This is the third time for me in the World Hopes Week. Over time the programme is better. Now, we have two or three training sessions per day and three sessions with the Chinese experts during the week, to talk about the development of table tennis. This week in Luxembourg we also focused on physical training. Thus we had a very busy schedule, wake up time at 6.30 am with physical training followed by breakfast and the morning training session. After the lunch break we headed out to the afternoon training session before dinner. In the evening the question and answer seminars with the coaching team were very good. It was a big effort for the players as for some it was the first time with such a tight programme but it is also very beneficial. I want to help to spread and develop table tennis in Africa, as there are many countries needing support. I want more countries to have more education opportunities and more players, balancing the continental field of play, to reach other African Countries who have a good level like Egypt and Nigeria. I had one camp in Namibia and I hope to be able to take part in other camps. I want to see more countries in Africa compete. On a personal level, what are your dreams? My dream is to be a coach for the first national team but I think that everyone should have a dream for their own level. The best thing right now is to spread table tennis in Africa and after that I hope Egypt can become one of the best eight teams at the World Championships. How do you plan to use the US$ 1 000 scholarship? I have discussed with the ITTF Education and Training Department, with Polona Cehovin and Dejan Papic, about the best options as I would like to use the scholarship to continue to improve my skills as a coach.